Which Corset Silhouette is Right for You? Modern corsets are virtually all designed with the goal of reducing the waist. How they reshape the ribs and hips as well has led to the development of several distinct silhouettes. I outlined the classic corset silhouettes in detail for The Lingerie Addict. But how do you know which silhouette is right for you? Corset silhouettes illustrated by Marianne Faulkner. This illustration first appeared on The Lingerie Addict. Notice that I said "waist definition," rather than reduction. From conical to cupped, mild, moderate, and dramatic reductions may all be possible – depending on your experience and unique shape. (Although, generally speaking, there is something of a correlation between waist definition and reduction. The less pressure on the ribs, the more the waist can compress – the displaced flesh has somewhere to go!) The exceptions lay on the extremes: a u-shaped corset will mildly reduce a waist; a pipestem accompanies a very advanced reduction. You may have a personal preference which draws you to a particular silhouette. The look of conical and ice cream cone shaping seams to have the broadest mainstream appeal. Cupped ribs are often perceived as "too dramatic" – ironic, considering that they tend to put the least pressure on the body and are generally, therefore, more comfortable and less extreme regarding rib and organ compression/displacement. Regardless of personal preference, your body may have other ideas about the ideal shape for you! If you're only looking for very mild reduction and/or have a naturally very straight figure, the u-shape may be the right choice. If your rib cage is squishy, flat in the front, and has some apparent tapering when viewed from the sides, then you can more easily rock the conical. If the front of your ribs are flat, but you require more breathing room on the sides of your rib cage, an hourglass is a good choice. Do your front ribs protrude and compress poorly? Is your underbust a similar measurement to your mid-rib? If so, you probably need a cupped rib. In my experience, very slender people do better in a cupped rib, whereas larger, fleshier bodies naturally take to a conical. 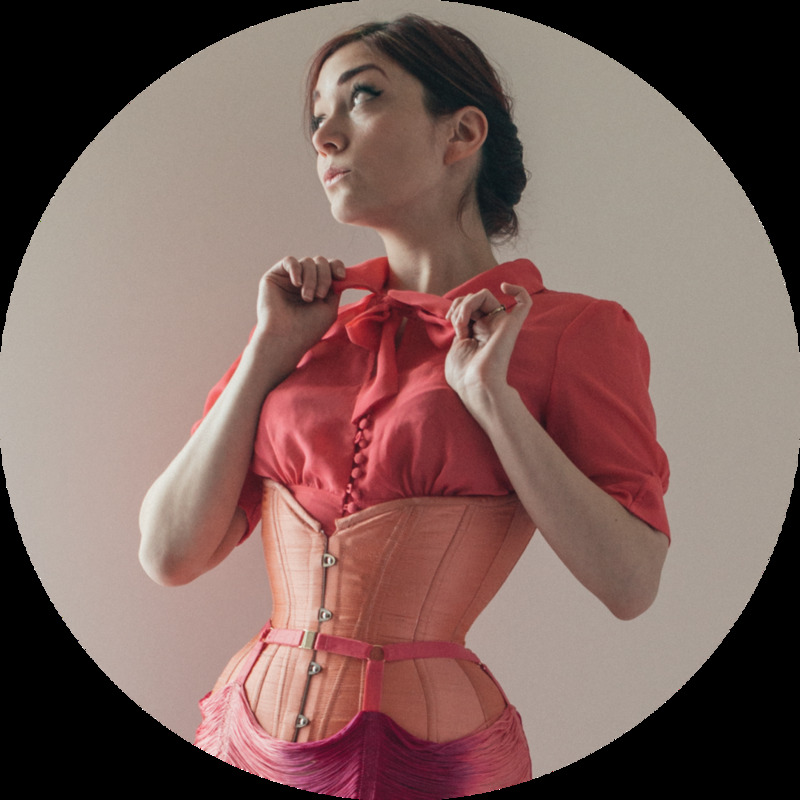 What have you learned about how your body takes to different corset shapes? What style of corset is the easiest to self lace?